Daddy’s Take: What Kind of Stroller Should I Buy? Most soon to be parents have at one point or another found themselves in one of the baby box stores pining through aisle after aisle. It’s truly a whole new world with thousands of items that baby needs and will make your life as a new parent easier. No more is the plethora of choice, options, and cost most like the showroom of your Porsche dealership than the stroller section. SUV or sports car? The world of strollers offers both and like your garage you’re going to find you will need both. Like the cars in your garage, this is something that you’re going to want to spend a bit of time researching the best fit for your lifestyle. Strollers today have a huge range of price, and it’s best to get your purchase right the first time. 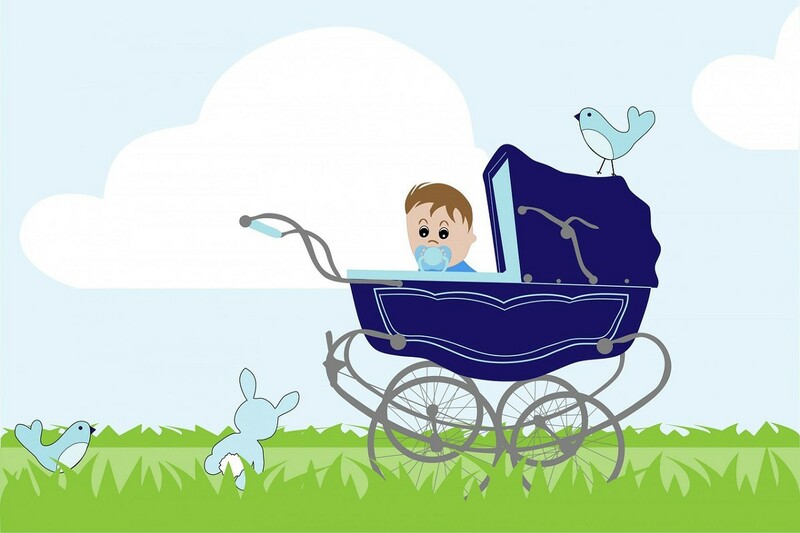 Strollers are the products that baby number one will enjoy as well as his or her subsequent siblings. The SUV stroller is something we are all familiar with. These huge bicycle tire dawning monstrosities are becoming just as familiar at the grocery store as at the Boston Marathon. For good reason, they are super versatile strollers and carry room for some parent extras along with the diaper bag. Major advantages of these strollers are the ride most have some sort of shock absorbing carriage which makes a softer ride for sleeping baby. The fabric used is typically a stronger fabric more reflective of the type you would expect to find in a military uniform or pack. In addition to being strong, the fabric is usually rain resistant or waterproof. The air-filled bicycle wheels and tires are forgiving and wear well. These wheels and tires tackle curbs and cobble-covered streets as easily as they do the trails of your local park. An added bonus to these strollers is their rough, and ready construction allows you to use the storage of these strollers for yourself as well. Water bottles, layers of jackets, magazines and books, and anything else your wife buys while your pushing baby can easily be stashed inside these strollers but don’t forget the diaper bag! This trust me makes for a different experience in the men’s room as you wet toilet paper to replace wet wipes. Sorry Son! The sports car stroller is the dedicated solid wheeled compact, light, agile, everyday baby mover. This could be your primary stroller especially if your lifestyle doesn’t require the strength and utility of the SUV baby joggers. These strollers have enjoyed steady innovation I suspect as companies have incorporated things from their jogging lines into the regular models like tricycle wheels instead of four wheels. The biggest advantages of the regular strollers depending on the model, of course, is the weight. A huge consideration is the weight! Guys, you can toss these featherweights around easily and so could your wife if she wasn’t recovering from giving birth. Buy a lightweight stroller the lightest one possible that is durable enough to use every day. C-section or natural birth your better half will hate her first trip after giving birth so much less if her stroller weighs 16 pounds’ vs. 30 pounds. Second to the weight of these strollers is the size they fold down to for storage and travel. Not every family is riding around in a three-rowed mountain chipping SUV and even if you are the size and weight of a traditional stroller is going to fold up and store way more quickly. What’s right for us? For our family, we live both an active lifestyle that required the capabilities of a jogging stroller but also needed a regular stroller for the everyday use. This isn’t an option for everyone especially because of the price tags and certain practicalities. Like, say you’re planning to have only one child in which investing $700 to $1000 dollars into strollers probably isn’t practical. My gut in these situations is to carefully examine not only your lifestyle but your living arrangement. If you awake every morning to jog 5 miles and are interested in taking Jr along then you might want just the jogging stroller even if you’re in an 800 square foot metropolitan apartment. However, if you are going to be hopping in and out of cab’s and busses with the baby all the time a more compact lightweight option that stores most easily in your modest coat closet is probably a better idea. If you do decide to purchase both, we ended up altering the stroller for the activity or trip. Family trip to Philadelphia we went with our lighter compact Britax B-Agile which was great from the day we brought baby home because it seamlessly snaps in your infant car seat. Camping or a summer full of fitness I bring along our BOB Revolution Flex stroller. Ultimately we found for everyday use my trunk contains the heavier BOB stroller and my wife keeps the B-Agile in her van. The exception to this is trip/activity specifics what we found by having both options in the garage we enjoyed the highest degree of versatility. We opted to go with Britax and BOB because they are the same company and everything was compatible. Oh and dads everywhere the jogger won’t replace the fact that you’re not driving around that H1 Hummer you dreamed about but still makes you feel like a man while pushing baby!